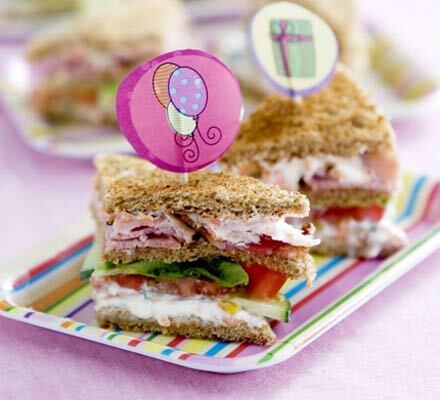 More #birthday party ideas! This site, BBC Good Food, is a really great source of recipes for food that’s good for your kids. It’s nice because they include the recipes to each food idea so you can easily implement it. So have fun making all these great kids’ party food! A room full of rowdy kids can feel a bit terrifying at the best of times, but if you’re laying on a birthday feast for them too, things can get realy stressful. Fear not, with a little bit of planning you can put on a homemade feast to keep the children happy for hours, from healthy smoothie jellies to fiendish monster cupcakes. After all they’ll need the energy for all the dancing and musical chairs.